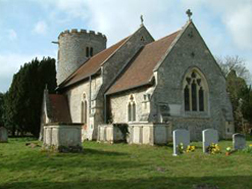 St Andrew’s Church, Kilverstone serves the small community of some 60 people who reside in this parish on the edge of Thetford. The church building dates back to the 10th or 11th century and has benefited from the generosity of successive generations of occupants of the adjacent Kilverstone Hall to keep the church in good order and regular use. There is one service here each month: Holy Communion at 9.00am on the second Sunday of the month. There are additional services at festival seasons.